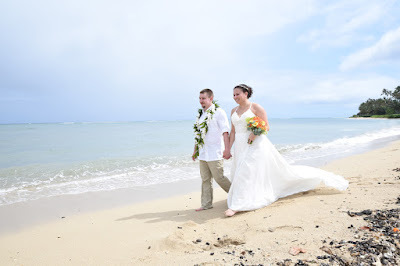 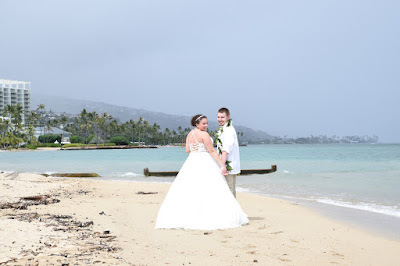 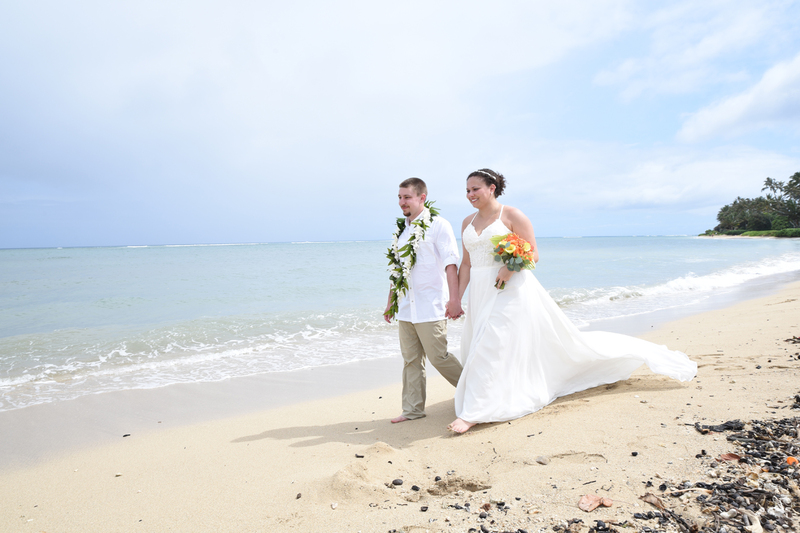 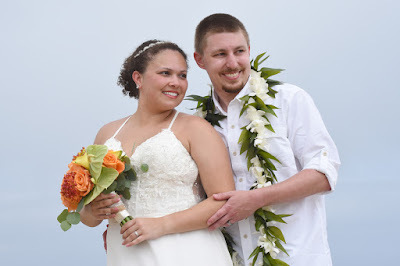 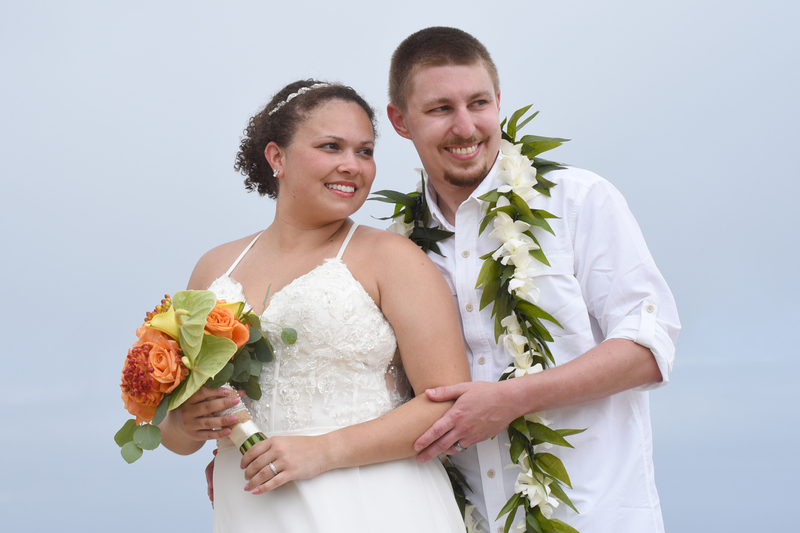 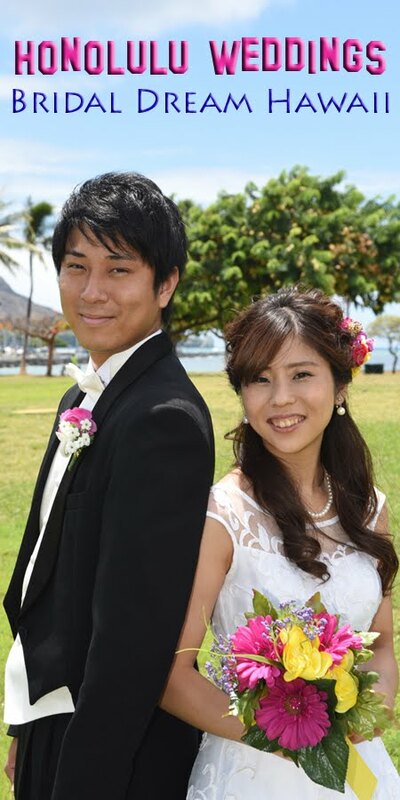 Beautiful wedding photos at Waialae Beach with Chris and Sloan. 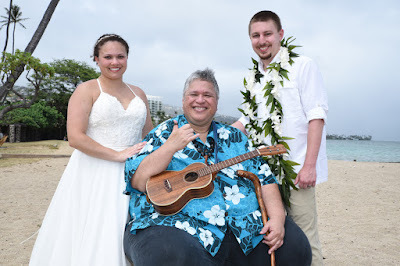 Bride and Groom pose with Hawaiian Musician Bernard Kalua (above). 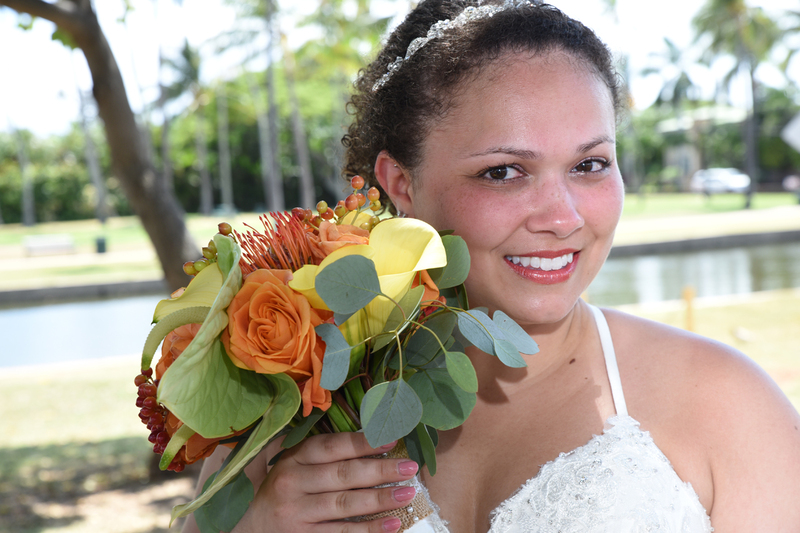 Beautiful tropical bouquet by Hawaii Wedding Flowers.